Laika animations are always a treat. Breathtaking visuals, slightly disappointing characters. 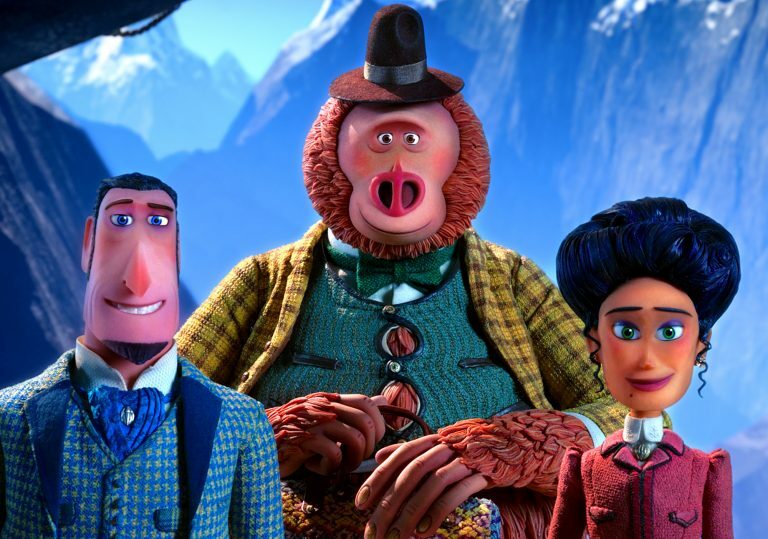 Hugh Jackman’s intrepid explorer makes a startling discovery in Laika’s latest stop-motion treasure. The past decade has seen a steady rise in sophisticated, adult-skewed stop-motion filmmaking, from Adam Elliot’s Mary & Max to Claude Barras’ My Life as a Courgette to Duke Johnson and Charlie Kaufman’s Anomalisa to Wes Anderson’s Isle of Dogs. Not that younger viewers have been missing out: Aardman Animations continues to plug away with its homespun brand of eccentrically British claymation, while across the pond a relative upstart has taken the artform to dazzling new heights. 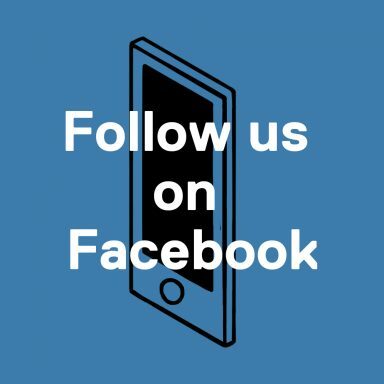 We are in a golden age of stop-motion animation and, since the release of Coraline in 2009, Laika has been at the cutting edge of the industry, putting out on average one new feature every few years to widespread critical acclaim. The studio keeps upping its technical game, too, with ParaNorman, The Boxtrolls and Kubo and the Two Strings having successively utilised advances in 3D printing and CG software to produce ever more naturalistic facial animation. So how does Missing Link measure up? This fish-out-of-water story begins with a monster in a lake. 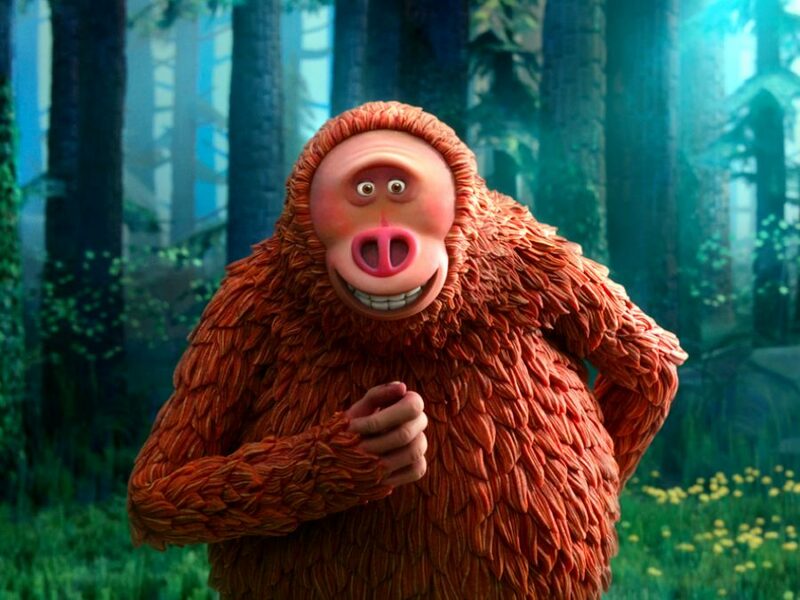 Charismatic, egocentric adventurer Sir Lionel Frost (voiced by Hugh Jackman) and his long-suffering assistant, Mr Lint (David Walliams), are on the hunt for a mythical beast in the Scottish Highlands. Initially it seems like a wild goose chase, until a prehistoric giant emerges from the murky depths, towering over the pair’s dinky wooden row boat. Following a brief altercation, Frost captures irrefutable proof of the famously camera-shy Loch Ness Monster, only to see it destroy his photographic equipment. Thanks for nothing, Nessie. Failure, it transpires, is a recurring theme for Frost. Upon returning to London empty-handed he is ridiculed by the members of an elitist explorers club he desperately wishes to join. The truth is he doesn’t really fit in, but he is nonetheless determined to make his name and win the respect of his peers. So Frost decides to go west. Not long after arriving in the Pacific Northwest (Laika is based in Oregon) our seasoned “myths and monsters investigator” makes a discovery so strange, so utterly confounding, even he is at a loss to explain it. Eight feet tall, 630 pounds, covered in thick rust-coloured fur and with a remarkably good grasp of the English language, the creature Frost encounters is not quite the legend he had in mind. Indeed, the supposedly fearsome, primitive Sasquatch (Zach Galifianakis) reveals itself to be a gentle and intelligent being who longs to be with others of its kind – to finally understand its place in the world. Frost promptly dubs his ape-like acquaintance “Mr Link” after his aforementioned (now former) assistant, and together they chart a course for a lost paradise deep within the Himalayas known as Shangri-La, where an ancient tribe of Yeti are said to live in blissful solitude. As these unlikely travelling companions make their way east via New York City and the Indian subcontinent, all while attempting to evade a cut-throat bounty hunter who has been hired to thwart Frost, the frantic, shaggy plot settles into a more relaxed rhythm. This is one of those films where the destination is much less important than the journey, and the slower pacing of the second and third acts allows us to savour the stunning vistas that establish each new setting. 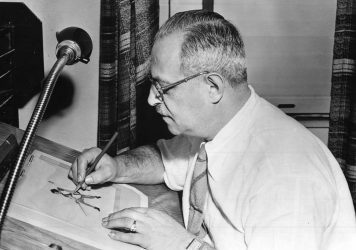 Writer/director Chris Butler and his crew of animators, VFX artists, model makers and graphic designers created a staggering 110 sets with 65 unique locations over the course of the production. Yet for all the love, care and craft that has evidently gone into rounding out the world of the film, the characters who occupy it are conspicuously two-dimensional. 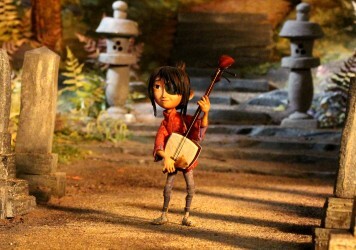 This swashbuckling stop-motion adventure is a lot of fun, but its cartoonish protagonists are easily forgotten (Zoe Saldana’s feisty heroine, Adelina Fortnight, feels especially superfluous), and although the emotional finale takes place in the highest mountain range on earth, the film arguably reaches its dramatic peak during that breathless opening set-piece. 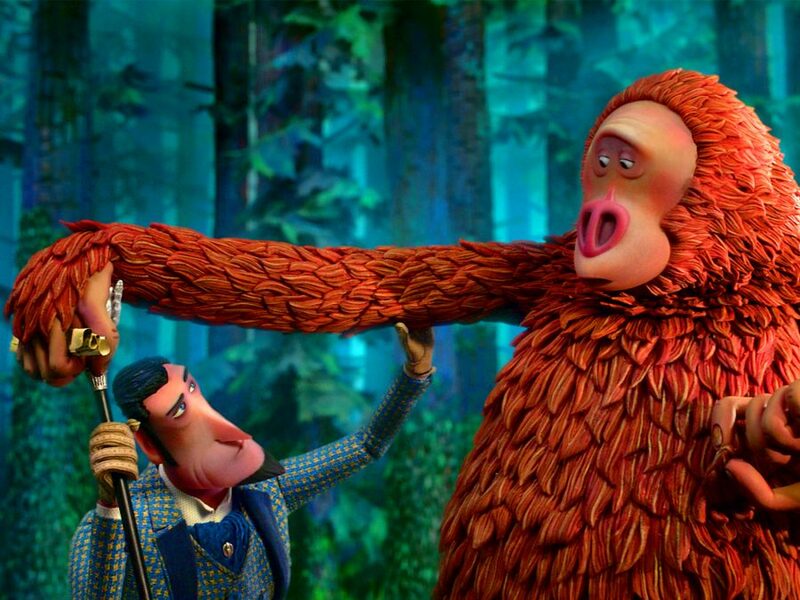 On a visual level, though, Missing Link is a rare and wonderful specimen. 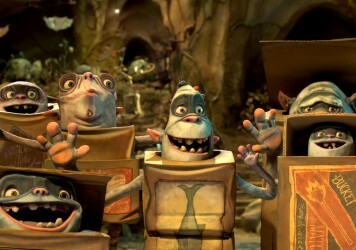 Laika Studios may have delivered their masterpiece with this staggering stop-motion fable. A delightful, comic animation with sophisticated social themes from the makers of ParaNorman and Coraline.